The 2015 "Interlude" is a blend of Primitivo, Zinfandel, Syrah and Petite Sirah. This wine created to be a food wine is elegantly crafted and magnificently balanced to enhance the flavors of any food. The name "Interlude", which is the instrumental music played between the parts of a song, was appropriately chosen as a metaphor to the interaction between wine and food. 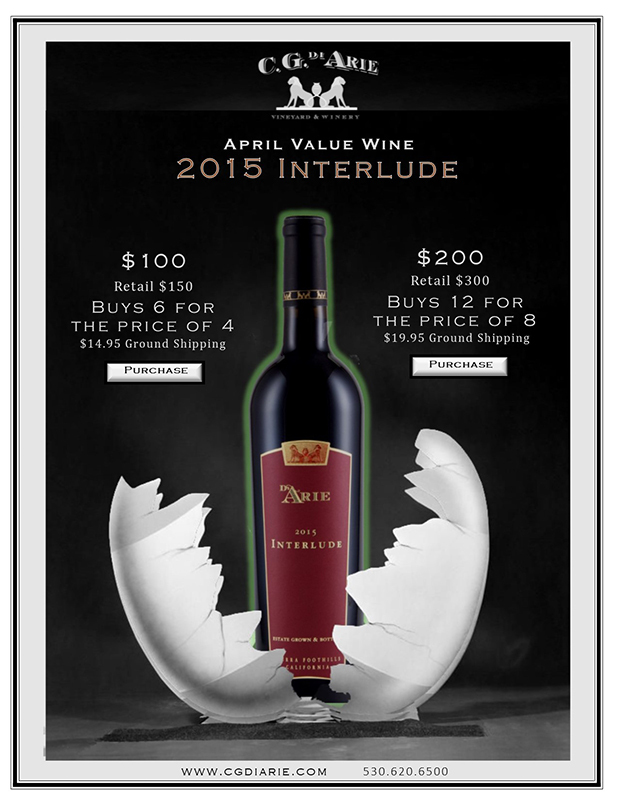 The composition of the 2015 vintage varies from the other vintages of Interlude. This year we increased the amount of Zinfandel and decreased the Syrah which made the wine somewhat fruitier than the previous vintages. In general, these four varietals are remarkably compatible acting together with synergy and harmony. The layers of dark berry aromas and flavors are complemented with smoke and game with hints of chocolate and herbal, earthy notes carrying all the way to the finish.